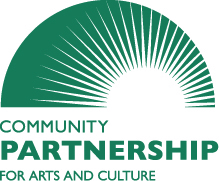 Community Partnership for Arts and Culture posted videos showcasing each Creative Workforce Fellow. Here I am- Christa Ebert, expert nerd, music connoisseur. I also made some new pals thanks to the fellowship and developed a fondness for Cleveland Public Theatre. Cleveland Public Theatre’s mission is to “raise consciousness and nurture compassion through groundbreaking performances and life-changing educational programs.” There programs and plays are unique, and quite frankly, badass. They host my favorite annual concert, and throw the most action packed fundraiser that has ever existed. Raymond Bobgan is the Executive Artistic Director or CPT and a 2014 fellowship recipient for music composition. His compositions may be the closest to Uno Lady’s musical style that I have come across. I love this because we make similar music in opposite ways. Last but not least is my new feisty friend, Faye Hargate! Faye is a performer, installation artist, educator and director at CPT. Check out her video below. Ps. The final report for my fellowship is almost finished. I’ll make sure to share and post when I am done. The Creative Workforce Fellowship is a program of the Community Partnership for Arts and Culture (CPAC). 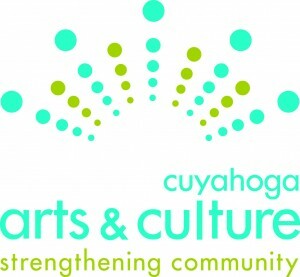 The Fellowship program is supported by the residents of Cuyahoga County through a public grant from Cuyahoga Arts & Culture(CAC).